In this sideways picture, you can see how differences are visible between a regular body and a Manga style body. 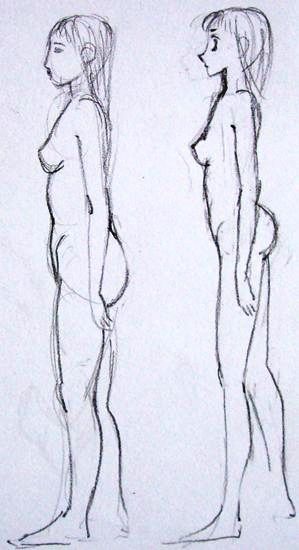 The body seems shorter, legs longer and the buttocks are drawn rounder and firmer because heroines are usually young. Generally, as it happens with the face, this style of drawing makes characters look child-like; they always represent a teenage look.